The Federal Ministry of Health (FMH), has released a new standing Order for Community Health Workers in the Country. 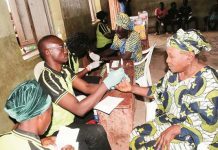 The Order which is aimed at ensuring uniformity and standard of healthcare within which a practitioner must operate was released at Kuje Area Council in Abuja last weekend. The director, Family Health, Dr. Philip Abuma, who represented the Minister of Health, Prof. Onyebuchi Chukwu said that efforts were being made in conjunction with other agencies and development partners to improve the skills of practitioners especially those in the rural Areas. Reacting to the release of the document, the registrar Community Health Practitioner Registration Board of Nigeria, Mr. Hilno Benibo called for a more regular review of the document to catch up with the reality of the time. The Country Director, Micro-Nutrients Initiative, Mr. Taiwo Aminu, in his remarks commended the production of the document, but insisted that there was room for improvement. He observed that some of the agreements reached during the review meetings was not appropriately reflected in the document. He explained that the review committee agreed that Vitamin ‘A’ should be administered on children between six months and five years of age but pointed out the document prescribed it for children who are nine years and above and queried what would happen to those children from the agreed six months to the nine months. The Executive Director, National Healthcare Development Agency, Prof. Ali Pati allayed his fears, saying that such gap has been taken care of in some areas of the document. The Chairman of Kuje Area Council Hon. 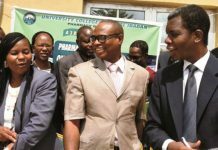 Danladi Efozin described the launch of the document as a demonstration of government’s commitment to providing quality healthcare services to the people. Reacting to the document, some of the Community Health Workers present at the launch expressed joy on the release of the guideline expressing that it would enhance their jobs. This review is coming after 15 years of use even though it was recommended to be reviewed every five years.